Anthropology begins in the encounter with the ‘exotic’: what stands outside of—and challenges—conventional or established understandings. This volume confronts the distortions of orientalism, ethnocentrism, and romantic nostalgia to expose exoticism, defined as the construction of false and unsubstantiated difference. Its aim is to re-found the importance of the exotic in the development of anthropological knowledge and to overcome methodological dualisms and dualistic approaches. 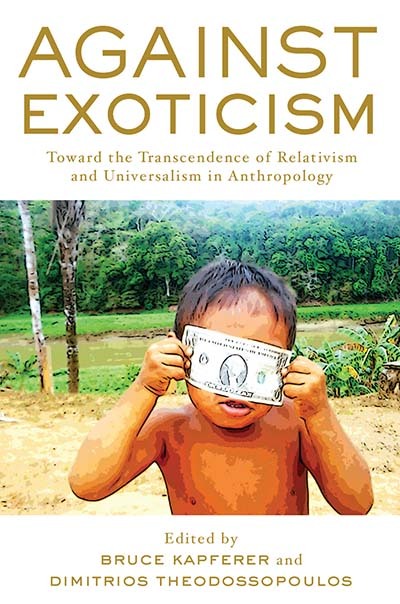 Chapters look at the risk of exoticism in the perspectivist approach, the significant exotic corrective of Lévi-Strauss vis-à-vis an imperializing Eurocentrism, our nostalgic relationship with the ethnographic record, and the attempts of local communities to readapt previous exoticized referents, renegotiate their identity, and ‘counter-exoticize.’ This volume demonstrates a range of approaches that will be valuable for researchers and students seeking to effectively establish comparative methodological frameworks that transcend issues of relativism and universalism. Bruce Kapferer is Director of an ERC Advanced Grant on Egalitarianism at the University of Bergen. He was the Foundation Professor of Social Anthropology at the University of Adelaide and later James Cook University. He was the Professor and Chair of Anthropology at University College London, where he is now also Honorary Professor. He is the author of several monographs, including Legends of People, Myths of State (2011) and 2001 and Counting: Kubrick, Nietzsche, and Anthropology (2014), and editor of many volumes, among which are Beyond Rationalism (2003) and In the Event (2015, with Lotte Meinert). He has conducted ethnographic research in Zambia, Sri Lanka, Australia, India, and South Africa. Dimitrios Theodossopoulos is Professor of Social Anthropology at the University of Kent. He has conducted research in Panama and Greece, focusing on processes of resistance, exoticisation, authenticity, tourism, environmentalism, and the politics of cultural representation and protest. He is author of Exoticisation Undressed (2016) and Troubles with Turtles (2003) and editor of De-Pathologising Resistance (2015), Great Expectations (2011), United in Discontent (2010), and When Greeks Think about Turks (2007).